The response to a major report on Britain's role in Iraq needs to grasp how war itself is changing. "There is little possibility of vigorous debate of the kind that Sir John Chilcot thinks so necessary." Credit: Dan Kitwood/PA Wire/Press Association Images. All rights reserved.The Iraq inquiry report, which took seven years to complete and was finally published on 6 July 2016, turned out to be more robust and independent than expected. Already, it has resulted in intense discussion in the media and public realm. 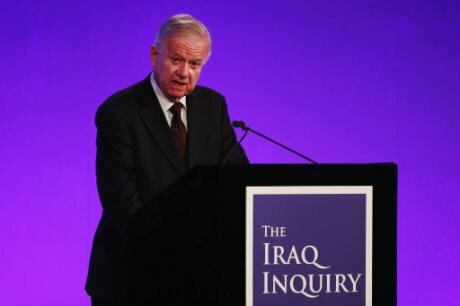 But what is now being missed is what the report's author, Sir John Chilcot, hoped it might achieve. On the evening before publication he gave a short press address. He expressed the hope that a key outcome would be that the United Kingdom would not again embark on a major foreign military intervention without much greater consideration of all the consequences. It is a noble aim and one which, in other circumstances, we might hope will be one of the most significant results of the seven years of work. Unfortunately there is a problem, in that it is a wish that has been already dashed. For Britain is again at war with almost no debate, indeed scarcely any recognition that the country even is at war. Just under two years ago, in August 2014, this new war started with the onset of airstrikes against ISIS in Iraq, these soon extending to ISIS in Syria. Furthermore this came on top of many different western military operations: in Afghanistan, Pakistan, Yemen, Libya, Somalia and elsewhere. These have persisted since the western withdrawal from Iraq in 2009-11, and the more recent partial drawdown in Afghanistan. In a sense these military actions were a continuation of what went before. But the significance of the current war against ISIS lies in three elements of the conflict. The first is that the war is far more intense than almost anyone in countries such as Britain recognises, since it uses methods vastly different from the 'boots-on-the-ground' operations of the past 15 years. There have been many thousands of air-raids, well over 10,000 targets destroyed, and around 30,000 ISIS supporters killed: but all this has been achieved with hardly any direct western troop involvement. As Iraqi and Iranian-linked forces have been supported by intensive air-power when moving to retake towns and cities such as Ramadi, Tikrit and Fallujah, the levels of destruction have approached the impact of carpet-bombing. Yet even then, what limited reporting there has been in the western media makes such impacts seem remote if not irrelevant. The second is that the expansion of the war has been incremental as well as persistently under-reported in the west. On occasion there has been limited debate, as when the House of Commons discussed the extension of Britain’s involvement to include bombing in Syria. But this is an exception to the general rule of steady escalation without discussion, let alone challenge. The third element, and the dominant reason for this neglect, is the change in the way in which wars are now fought. "Remote warfare" is now the order of the day. It involves airstrikes, armed-drones and special forces, often supported indirectly by private military and security companies. Information release is strictly controlled and kept to a minimum, and is aided by the almost complete lack of casualties. 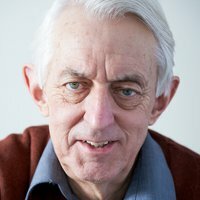 In the killing of 30,000 ISIS supporters, the death-toll among the western forces is probably less than 20, with hardly any of them combat-deaths. No bodybags means little concern among the public – indeed if wars can be fought against dangerous enemies with so little cost, then bring them on! It is, though, a highly dangerous development, not least because ISIS – even as it may have suffered huge losses – has branched out into actions in many other countries, rather as al-Qaida did in the early 2000s. Sousse, Tunis, Sinai, San Bernardino, Orlando, Brussels, Paris, Istanbul and Dhaka are just some of the consequences, with every prospect of more. Moreover, there are the continuing terrible human costs in Iraq itself, including the bombing in Baghdad on 3 July. More than a decade of post-9/11 wars with hundreds of thousands of ground-troops failed to contain al-Qaida and ISIS. There are now strong reasons to call into question the supposed validity of remote warfare. But the very fact that it is so remote and 'below the horizon' means that there is little possibility of vigorous debate of the kind that Sir John Chilcot thinks so necessary. Chilcot's report may turn out to have considerable value. But his wish for more openness and debate before future military intervention will only come to pass if far more people recognise that the changing nature of warfare actually militates against precisely that need.